When teaching (or learning) challenging poses, it is important to recognize and relate the shape of the challenging pose to a similar, easier pose. Look at the actions of the arms, legs and trunk. Even if you aren’t familiar with the anatomical actions of the pose, look at how the two poses relate to each other. What actions do you do that make practicing the easier pose accessible? More stable? Could you apply those actions to the challenging pose? In this video, I relate the foundation of plank pose to Sirsasana 2 (Tripod Headstand). We look at both the position of the arms and the actions of the shoulders to make the pose stable and strong. 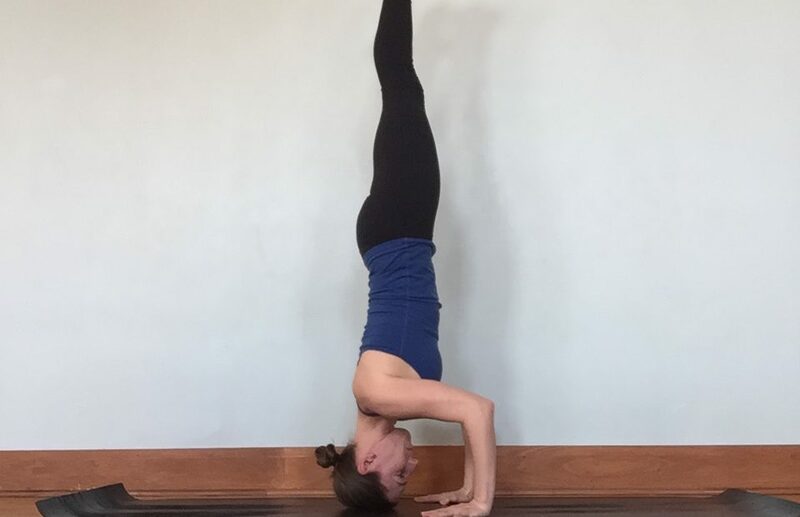 If you have a headstand practice, I hope this video will refine your headstand practice. Note- This video shouldn’t be used as a replacement for working with a knowledgeable teacher who can assist you step by step into the pose. 🙂 Check it out and let me know how it goes!